An increasing number of men suffer from the problem of hair loss. Statistics indicate that non-surgical hair replacement systems have become much preferred over transplant surgery. Men’s hair replacement systems aim at customizing your hair color and density to leave you with a revitalized natural hair. 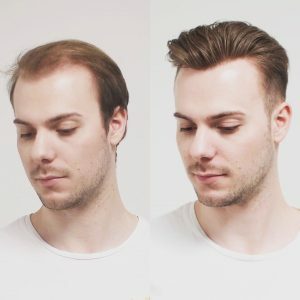 Men who begin losing hair in their early twenties or during their teenage years often develop an awkward middle-age appearance. The change in the look could be a cause of high anxiety disorders, depression, or emotional stress. Achievement in both the business and social world can be seized by a “youth appearance” that is presented by a young person to their potential sexual partners, business contacts, colleagues, or friends. 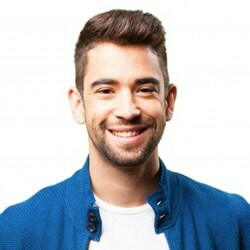 A decision for hair transplantation may not be the best option for early age hair loss in young men. The current practice is a delayed approach to hair transplantation whose initial therapy involves medical stabilization. Medical equilibrium that has DHT inhibitors like Minoxidil, Finasteride, laser systems, or regenerative procedures provides superior hair density. In this case, hair transplant surgery is done after the hair loss has minimized or on the realization of the hair density. What Factors affect One’s Decision for Early Transplantation OF Hair? 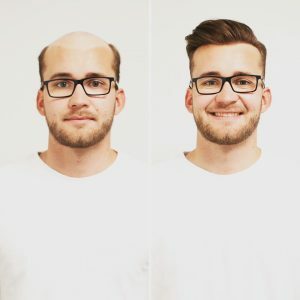 Men who have a strong history of hair loss in their families at earlier ages are prone to moderate or severe hair loss during their lifetime. 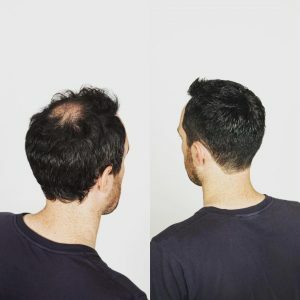 Early age hair transplantation may be associated with many adverse effects of donor hair depletion – the hair found at the back of the head essential for transplantation grafts. 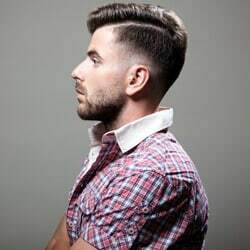 Young men who go for hair transplantation are likely to experience hair loss or progressive miniaturization over the years. Early age hair loss is unpredictable on how much hair can be lost eventually over the decades or the final Norwood trend of hair loss. The long-term cosmetic value of hair transplantation may be negated if the transplantation is done earlier. Conducting hair transplantation without reasonable consideration of available donor supply and demand ends up in abnormal looks decades later. Similarly, unusual “islands” of hair follicles mainly develop at the center of the balding scalp if hair transplanting was applied in unsuitable balding areas of the scalp. Most men who have great concern about their hair loss frequently seek choices on cosmetic enhancement. Hair loss takes place at any point in the course of a man’s lifetime. The phenomenon can begin at early ages or develop over time. Most men experience hair loss as baldness and thinning hair during their lifetimes. As a result, much concern arises. On detecting the related signs, men usually seek advice on the most appropriate options. Most of them fail to find the right advice regarding the most appropriate options for the maintenance of their aesthetic appearance. 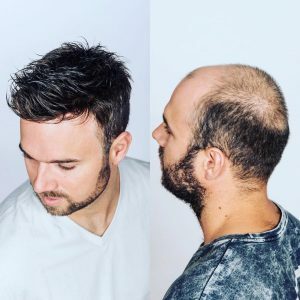 Men’s hair replacement JACKSONVILLE FL guarantees you of best-personalized men’s hair replacement solutions. They work on a combination of artistry and technology to offer you the most undetectable, natural solution that appears with a feeling of your real hair. As you witness the improvement and development of medical treatments for alopecia, it should not be a surprise to see other options becoming much advanced as well. To most of you, non-surgical hair treatment merely is a euphemism for hairpieces, toupes, and wigs. However, that is an obsolete perspective. In recent years, techniques related to nonsurgical hair replacement have suddenly become sophisticated. To several men, such concepts now provide the proper resolution to male-pattern baldness. In this discussion, we shall focus mainly on men’s non-surgical hair replacement. We will give much information on the treatment, the procedure, and scenarios where it may be rightful. Besides, we will consider the limitations that make some men opt for surgical hair transplants rather than nonsurgical systems. Perhaps your mind is tuned to the belief that non-surgical replacement implies the wearing of a wig; think twice. Current techniques produce results that are far more natural, far more comfortable, far more subtle, and quicker to live with. Non-surgical hair replacement includes the application of a thin, transparent light membrane to the scalp. The membrane is permeated with the human hair to produce an absolute natural effect. This approach perfectly matches the density, direction, and color of the hair in the membrane with that of the existing hair. The very latest materials bond the membrane to the scalp giving you the confidence to wear the hair even when participating in sports. No Further Medical Attention – While medical procedures and therapies are applicable to surgical restoration of hair, non-surgical options are quick with no medical aspect. Speedier Recovery time – Surgical treatments generally take between two to six hours to be done. The duration taken for the results to manifest is twelve months. However, non-surgical options last for as low as two hours to be through. Post-Surgery Complications are not involved – Non-surgical treatments are not associated with transplantation. As such, the risk of bleeding, swelling, and infections is not part of the process. You are assured of leaving the place with no sores or wounds. Easy to customize and reverse – The creation of your custom hair is done based on your exact expectations, desires, lifestyle, and age-appropriate specifications. As a result, your customized hair renews your natural form as if the hair is naturally growing from your scalp. Your hair is personalized to feature a natural looking hairline and feel to the touch. Fewer Risks – The short and non-surgical options benefit you with an entire head of hair that appears as though you own growing hair. Non-surgical options relieve you from a particular lifestyle and the quantity of hair to have. Seek advice from a specialist on the choice of hair that fulfills your expectations. An expert will also offer insight on creating a hairstyle that is rightful for you. Non-surgical options are necessary for early stages or advanced hair loss. Besides, it is a recommended choice for people experiencing hair loss because of medical problems like chemotherapy or alopecia. The total percentage of people suffering from hair loss keeps rising. Male pattern baldness initiates 97% of male hair loss. Alternatively, 70% of hair loss in women comes because of female pattern baldness. In other cases, food and air pollutants, chemicals, over-processed hair, anemia, thyroid, or hormones can also cause hair loss. Nearly all non-surgical hair replacement starts with a design consultation. This talk promises that the product is personalized to stay naturally with your existing hairstyle and color. The product lasts for about some months from design to completion. You have the freedom of buying products that are not bespoke – already prepared products. These are cost-friendly and readily available. However, whatever you save in time becomes a compromise on precision, artistry, and quality. Once you are done with the design stage, two most important elements await. The membrane is the first element. Currently, there is a wide range of membranes sold in markets. Nevertheless, the most known types are polyurethane, monofilament, and lace. Expect your specialist to use one of these three kinds of the membrane if you are opting for therapy in non-surgical men’s hair replacement. Usually, your requirements make it easier for your practitioner to advice on the right membranes. Monofilament is suitable for scalps that require breathing because it’s porous. However, polyurethane is discrete and virtually invisible. Lastly, lace produces the most natural appearance. It is mostly engaged in creating the hairline for the regions of male-pattern baldness that are most visible. The second critical element in the process is the attachment of the membrane to the scalp. The most recent advanced concepts connect the membrane to the scalp using a transparent adhesive. This material is resistant to breakage by water and sweat. For secure attachment of the bond to the scalp, some of your existing hair is shaved away. So what would push you to non-surgical hair treatment and no other cures for male-pattern baldness? 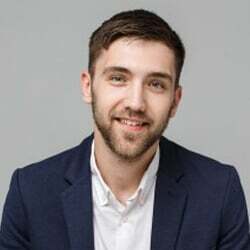 The crucial first reason is that, for most men, additional methods such as Finasteride and Minoxidil are not effective. The US Food and Drug Administration certify these two routes. Minoxidil is applied and has no prescription. Finasteride has prescription and you take it orally as a pill. Nevertheless, these methods are not sufficient. As such, their best option to curb the challenge of hair regrowth via medical channels becomes non-surgical hair replacement. In these types of incidences, men are not just limited to non-surgical hair replacement as a resort. Alternatively, they could go for surgery. However, surgery is the last option for men with male-pattern baldness. One key reason for this is the unwillingness for surgery in most people unless it is a necessity. Another point is that your existing hair is moved around your head through an operation. As such, the achievement of the surgery is determined by the availability of enough real hair for some to be shifted from the donor area. The other risk to consider is that future consistent loss of hair prompts for further surgery. If this demands attention, the hair in the donor area is likely to diminish once again. For these reasons, surgery is not regarded as a sustainable treatment. Non-surgical hair replacement is a reliable resort that does not temper or remove the existing hair. Hence, most of the problems mentioned above are skipped. If you are a man, examine non-surgical systems before in the first place. This way, you will be able to evaluate the quality of the replacement before taking the risk of your existing hair. Though non-surgical systems are suitable for most men, they bear some shortcomings. The main drawback is the fact that this product needs consistent maintenance to keep the natural effect. 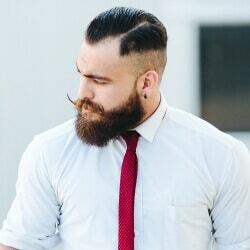 For instance, you are not free of paying a casual visit to the barber for the hair cutting. Typically, you are required to see the replacement practitioner. Here, the membrane shall be removed and your real hair trimmed. Similarly, you may opt for the restructuring of the hair in the membrane as a compensation for the changes. As per your expectation, the membrane will require regular replacement as it wears out with time. Based on your selected product, there may be a requirement for specialist care products. All these maintenance obligations inflate the cost. Therefore, though non-surgical hair replacement may appear to be most appealing in view, as a one-off cost, remember that it does not end there. For you to preserve the effect, you have to make a habit of spending money. Based on our discussion, a wide range of hair replacement products exist on the market today. The type you select will affect the cost in due course. Usually, a human hair is costly compared to synthetic versions. Equally, some kinds of a membrane are sold at higher prices compared to varieties with lower quality. Lastly, you can anticipate parting with much cash for artisanship: excellent quality work is time-consuming though, the much carefulness invested in the design of the new hair to bond with existing hair, the better the results. Generally, the initial non-surgical replacement cost range between $600 and $1,000. Be sure to engage a qualified professional in the initial consultation. This way, you will be guaranteed of specific costs and treatment plan before the procedure. 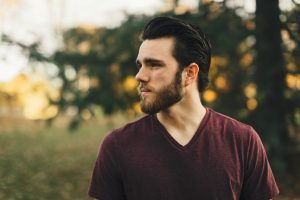 Whether you are searching for a little added or more hair, count on Men’s hair replacement JACKSONVILLE FL for best non-surgical men’s hair treatment options. Expect a natural, full look and feel that you can remember, plus an extra benefit of having a new hairstyle that you have ever longed for, besides total confidence in your appearance.